Gene Martinez has been with Jackel Enterprises since 2007, hardworking and good humored he is a valued team member. 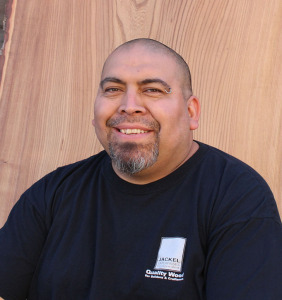 He works in the mill and Wood Box Beam division, Gene is cranking out the custom orders to your specifications. His favorite saying “Treat yourself, don’t cheat yourself” is reflected in his work of our top quality wood products.